Handcrafted From Solid Brass and Made in the U.S. This uncompromising elegance of light fixtures from Lighting Innovations adds a look of distinction to your home décor. 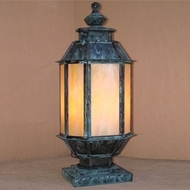 The company specializes in custom handcrafted solid brass lanterns that are made in the U.S. 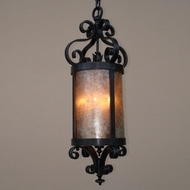 These unique wall sconces, ceiling pendants and outdoor lamps are available in dozens of different finishes, including weathered bronze, oiled bronze, brick rust, verde gris, pewter, old iron, flat black, antique rust copper, honey iridescent, marble white, cloudy opal, frosted amber seedy and beveled clear. You can also select the desired style of glass. Each combination of glass and finish creates an entirely different look, giving you unlimited possibilities when designing for a new home or for updating existing décor. Whether you're a homeowner, interior decorator, residential contractor or design studio, you'll appreciate the unsurpassed quality, styling and multitude of styles and colors. 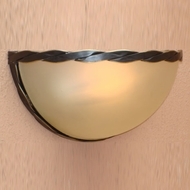 Lighting Innovations wall sconces exude character and warmth. Whether it's a simple half globe or a more traditional lantern shape, these exceptional fixtures are truly one-of-a-kind. Some models use 2 candelabra bulbs, and larger lanterns use 3 to put out a glowing light. 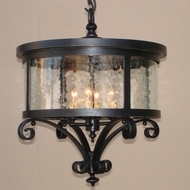 Many of the sconces are finely detailed with trim and flourishes for a dramatic presentation. Their ceiling pendants have a similar style to the sconces, allowing for coordinated lighting décor throughout your home. 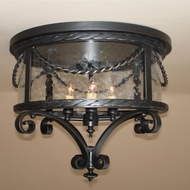 Choose a pair of sconces to surround a fireplace and then carry the same look over to a hanging pendant in the foyer. 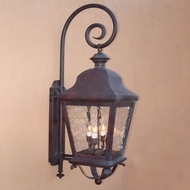 They offer a large collection of solid brass lanterns for outdoor lighting as well, from handsome and durable wall lighting to outdoor pendant lights and exterior ceiling fixtures. 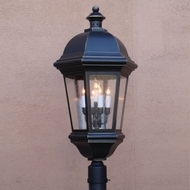 There are also matching exterior post light fixtures and similarly styled pier mount lights. All outdoor lights are wet rated and can withstand harsh environments.